You may have come across some horror stories about home brewing. Bottles of over-brewed beer exploding in the airing cupboard over fresh, clean towels; bottles of last summer’s attempt at alcoholic ginger beer mysteriously disappearing, only to find bottle tops turning up in random places in the garage; and an attempt at an IPA resulting in some rather foul smelling water. But, the mystery and satisfaction behind successfully crafting your own home brew always overrules, so we’ve brought you a list of some of the best home brew kits out there. First of all, let’s look at the main things you’ll need to consider before you start brewing any kind of alcohol. Whether it's beer or wine, you’ll need to make sure that the equipment you use is clean and sterile. Any foreign substance could interfere with the delicate chemical processes leaving you with a liquid that doesn’t look anything like the ale you drink at the pub. You’ll also need to think about how much time you have to offer to the brewing process. A drink like a beer will take up to a week before it it begins secondary fermentation and will then need to be placed somewhere it can clear. Wine can take 4-6 weeks to brew, and the longer you leave it, the more vintage it becomes. So whether it’s for keeping the guests topped up at the annual barbie or a stash that you can dip into whenever you’ve had a long day, make sure you buy the best – check out our list of the best home brew kits on the market right now. There’s a certain amount of mastery when it comes to ale making but fortunately Woodfordes Wherry has made it pretty easy for you. The combination of ingredients, when prepared properly, should provide a well-balanced drink- and reviewers certainly agree. 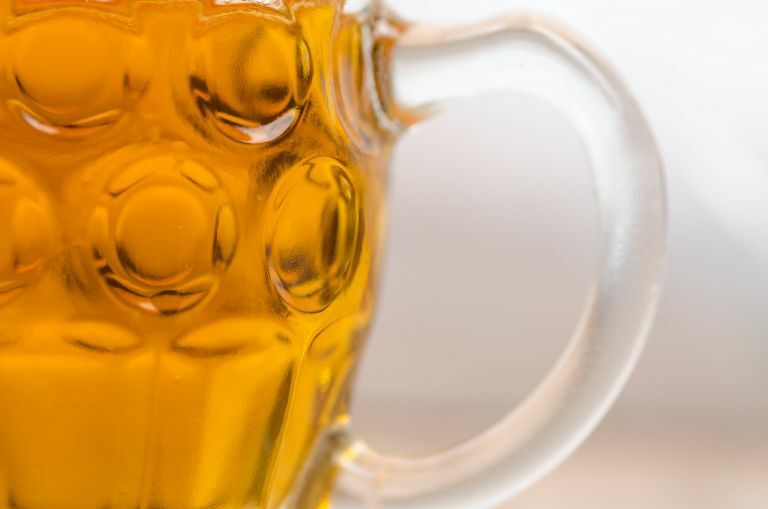 You can choose to decant the beer mix into bottles or a keg, with some commenting that it tastes better straight from the keg than the bottle. Whether the kit is for yourself or a gift, the instructions seem simple to follow, meaning it’s pretty failsafe! Nothing says ‘well done me’ better than a pint of ale, beer or cider after a long week. But what would make it more satisfactory is if you knew that the concoction you were drinking was completely homemade. Ingredients aren’t included with this kit but that gives you the freedom to go all out and shop for a blend that will produce the tastes you enjoy. You can even reuse the set after you’ve drank your way through the 40 pints. With reviewers commending the quality of the set for the price, it’s a great one for beginners. If you feel yourself turning pro, a more upmarket kit may be required. When was the last time you rustled up some beer in a bag? Back in the day, you may have attempted to brew up some beer in a bucket or even the bathtub. Now it’s all about the bag. One of the biggest pains when looking to produce your own beer is finding enough bottles to house the 40-odd pints that it makes; but with this craft (or crafty) home brewing kit, you can simply decant your beer from the bag into a glass once it’s ready to drink. With Woodfordes Wherry promising crisp, citrusy flavour, this would be a great season beer to bring out at a summer BBQ. Both beginners and pro home-brewers rave about the flavour of this India pale ale, which uses two of America’s most popular hops to produce a beer that hints floral, grapefruit and earthy pine notes, with an ABV of 6.5%. While no brewing equipment is included, it’s cheap enough to buy it separately and certainly worth it if you want an ale that claims to taste better than the stuff you get down the local. As is true with most red wines, they taste better with age, but that doesn’t mean it's not perfectly drinkable after the 28 day brewing process. California Connoisseur promises a blackcurrant and cedar nose which has a tannic character when it’s fresh from fermentation. The brewing process, according to reviewers, is simple and straightforward to follow, which makes it an hassle-free gift idea – you’ll just have to source the bottles. You’re going to have to be a little more open-minded when it comes to brewing your own beer – it isn’t going to taste exactly as it does down the pub. But when the instructions are followed, Wilko promises a beer that delivers pleasant hints of spice and cloves – pretty appropriate for the winter season and homemade festive hamper gifts. You’ll need to get hold of your own sugar and water (shouldn’t be too hard) but you’ll either have to order or collect some bottles in which to decant your brew.